Millions of spectators will line the route for the three-day men’s race and one-day women’s race which run between 28-30 April. The timings have been calculated by anticipating the peloton’s average speed but are subject to change depending on variables such as wind speed, direction and how aggressively the riders race. “It’s always exciting to share these timings as supporters can now plan exactly where and when they want to watch the action. Every time I see them I’m astonished by how quickly the peloton travels, but these are the very best riders in the world after all! The Stage of the Coast and Wolds will begin at 12:35pm outside Bridlington Spa and the first intermediate sprint will be contested in Pocklington at 13:48pm before the peloton tackle the Côte de Garrowby Hill at 14:06pm. The next categorised climb comes on the Côte de Goathland at 15:42pm, and the race reaches the coastline again at Whitby for the second intermediate sprint point outside Whitby Abbey at 16:03pm. The Côte de Robin Hood’s Bay must then be ascended at 16:19pm before the now legendary finish along Scarborough’s North Bay at 17:00pm. The Asda Women’s Tour de Yorkshire kicks off an enticing double-header on Saturday with the world’s best female cyclists riding the exact same route as the men do on stage two. They get under way on the newly reopened Tadcaster Bridge at 09:15am and head to Knaresborough where the first intermediate sprint points are up for grabs at 09:53am. The riders continue on into the heart of Nidderdale where the brutish Côte de Lofthouse awaits them at 10:51am. Any contenders that fall behind there will be looking to get themselves back into the mix for the second sprint in Ripon at 11:38am and the pace is then unlikely to relent from then on until a frantic finale in Harrogate at 12:27pm. The decisive stage of this year’s race – ominously titled The Yorkshire Terrier due to its punishing parcours – exits Bradford’s City Park at 12:10pm and takes a scenic trip to the Dales before heading back along the Aire Valley for the first of eight climbs on the Côte de Silsden at 14:04pm. The Côtes de Haworth and Leeming then follow in quick succession at 14:22pm and 14:32pm respectively before the peloton reaches the Côte de Shibden Wall. This cobbled beast will be crested at 14:54pm before an intermediate sprint takes place in Clifton at 15:09pm. There’s no respite as the race passes into South Yorkshire, and the final sprint points are up for grabs in Stocksbridge at 16:47pm before the weary riders tackle a gruelling 22km concluding loop featuring no less than four categorised climbs. The Côte de Deepcar is first up at 16:52pm and the Côtes de Wigtwizzle (16:58pm) and Ewden Height (17:01) come one after the other before one last drag up the Côte de Midhopestones at 17:07pm. Anyone left in contention after that will duke it out for the stage and overall victory in Fox Valley at 17:15pm. 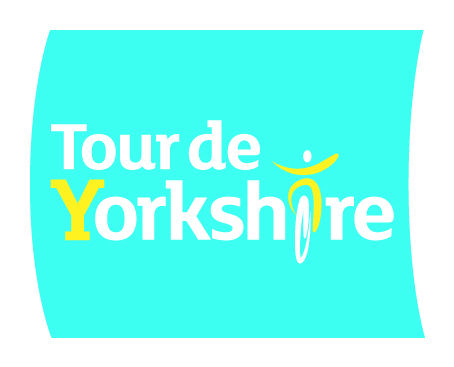 This entry was posted in All news, Cycling, Events, Tour de Yorkshire. Bookmark the permalink.